Tupac - 'Me Against The World'. Inspirational lyric: "Even the genius asks his questions." 6. Tupac - 'Me Against The World'. 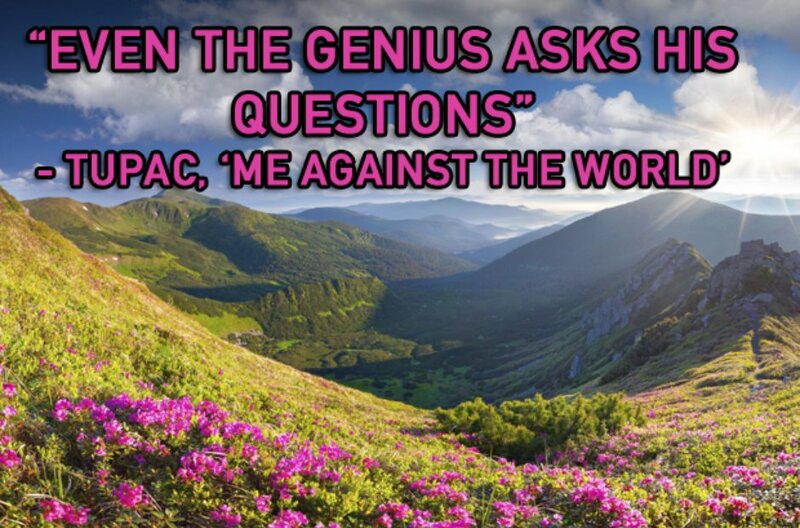 Inspirational lyric: "Even the genius asks his questions."